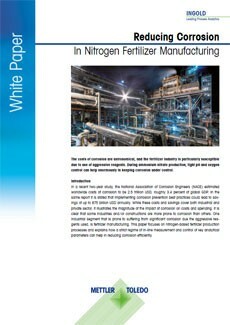 For many fertilizer manufacturers, corrosion is a challenge and it has been discussed in many studies. Many of the publications indicate that substantial progress has been achieved to fight and reduce corrosion, however, it also becomes clear that the problem still exists. A recent two-year study estimated that worldwide costs of corrosion are 2.5 trillion USD, roughly 3.4 percent of global GDP. The same report stated that implementing corrosion prevention best practices could lead to savings of up to 875 billion USD annually. In-line measurement and tight control of pH and oxygen can be the solution to reduce corrosion sustainably. Due to the aggressive reagents used in ammonium nitrate fertilizer production, this industry is particularly prone to suffering from corrosion. This white paper explains how a strict regime of in-line measurement and monitoring of analytical parameters including pH and dissolved oxygen can reduce corrosion substantially. 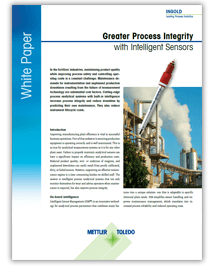 The ideal product solution from METTLER TOLEDO to reduce corrosion in ammonium nitrate production, consists of the InPro 3250i, InPro 6860i, InPro 6850i sensors and M400 transmitter. 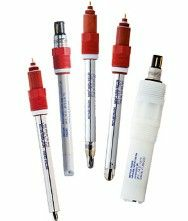 InPro 3250i is a pH sensor with a pressurized reference electrode, making it ideal for high temperature applications. The InPro 6860i is the most suitable solution for dissolved oxygen measurement at temperatures up to 60 °C. For measurement points up to 80 °C, the InPro 6850i is the more appropriate probe. The M400 multi-parameter analytical transmitter completes the measurement system. This measurement solution features Intelligent Sensor Management (ISM), METTLER TOLEDO's process analytics platform that combines the advantages of in-line analytical measurements with modern digital technology. ISM sensors offer improved performance over analog probes for a number of reasons. They have an on-board microprocessor that converts the analog signal from the sensor into the actual measurement of the parameter. Digital sensors with ISM continuously monitor their own condition and, using advanced algorithms, predict when calibration, maintenance, or replacement will be required. These diagnostic tools significantly reduce calibration and maintenance time and effort. 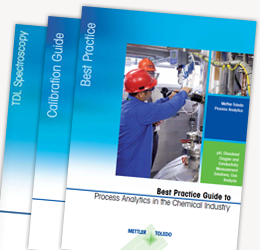 Select the correct pH sensors for the chemical processes. Simply use this online pH Sensor Selector.